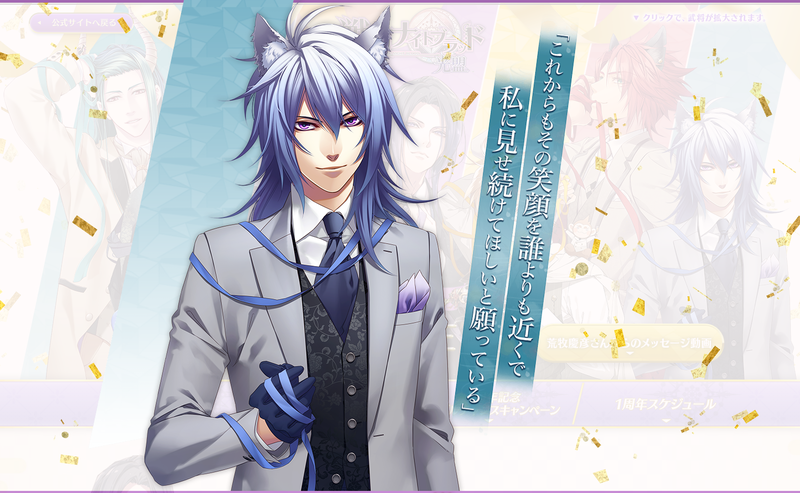 (Been so busy I fell behind on Mouri chapter translations, but luckily I got this to translate! LOL). 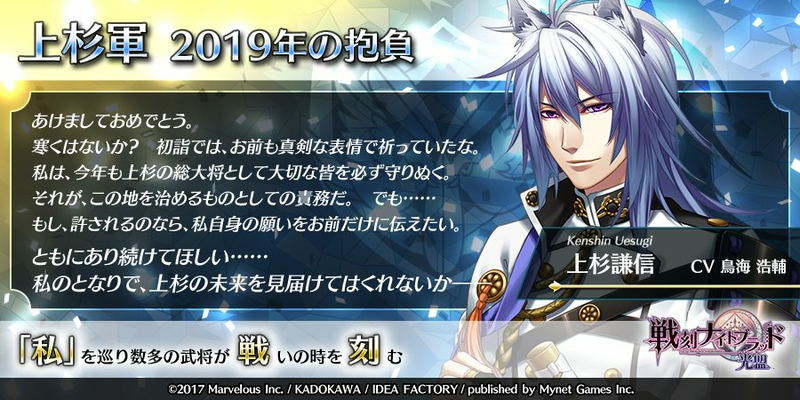 This entry was posted in Collaboration, Otome Games, Sengoku Night Blood and tagged Kadokawa, Marvelous!, Mobile, Otomate, SNB Kenshin, Toriumi Kousuke. 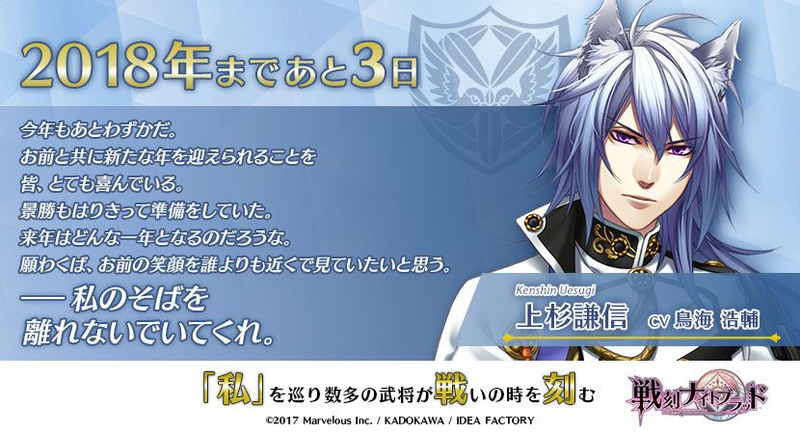 This entry was posted in Collaboration, Otome Games, Sengoku Night Blood and tagged Aramaki Yoshihiko, Kadokawa, Marvelous!, Mobile, Otomate, SNB Kagekatsu, SNB Kenshin, Toriumi Kousuke. 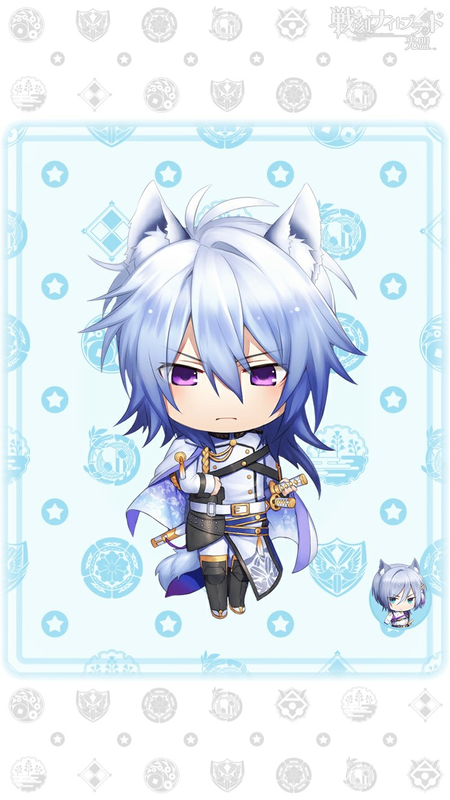 Kenshin!? Stop!?!? I’m going to apologize ahead of time for all the links I’ve thrown in here because Kenshin insists on being cultured and keeps making me look things up. Apologies for the delay too because there was just so much to translate and not enough hours in the day. 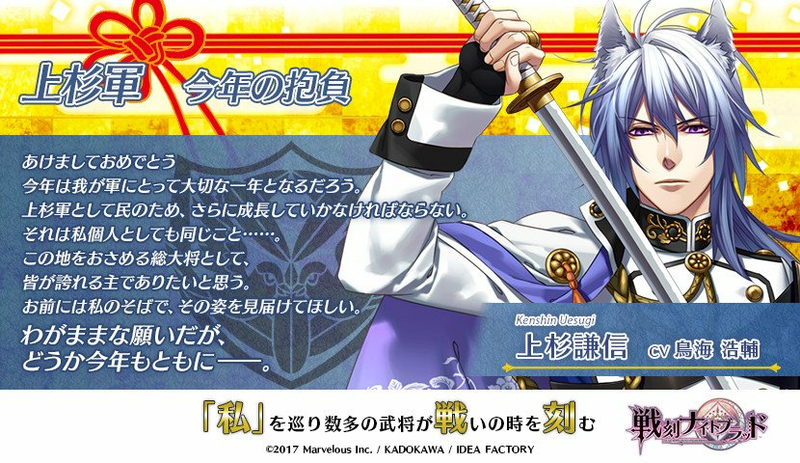 This entry was posted in Collaboration, Otome Games, Sengoku Night Blood and tagged April Fools, Kadokawa, Marvelous!, Mobile, Otomate, SNB Hideyoshi, SNB Kenshin, SNB Masamune, SNB Motonari, SNB Nobunaga, SNB Shingen, SNB Yukimura. Happy New Year. This year will be an important year for our army. 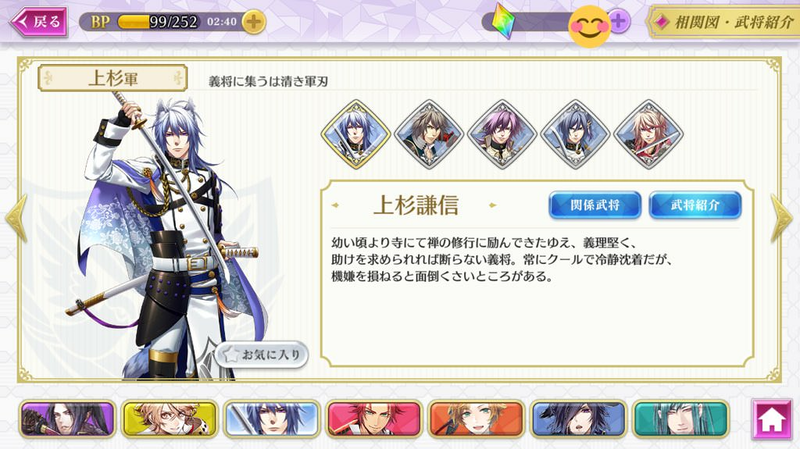 For the people, as the Uesugi Army, we must grow even further. 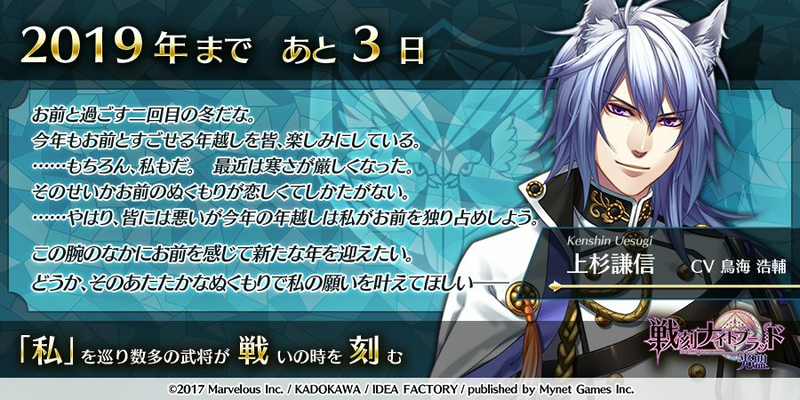 It is the same for myself personally as well…… As the general governing these lands, I wish to be a lord who everyone will be proud of. I want you to see that with your own eyes by my side. It is a selfish wish, but please share this year with me as well–. This year is only for a little while longer. Everyone is extremely happy to greet the new year together with you. 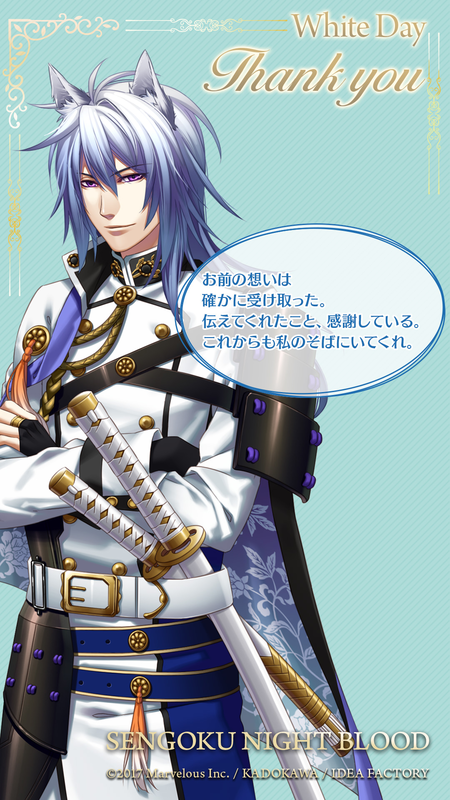 Kagekatsu has been preparing everything in high spirits. I wonder what kind of year next year will be. Hopefully, I want to be the one closer than anyone else who sees your smile. –Please do not leave my side. 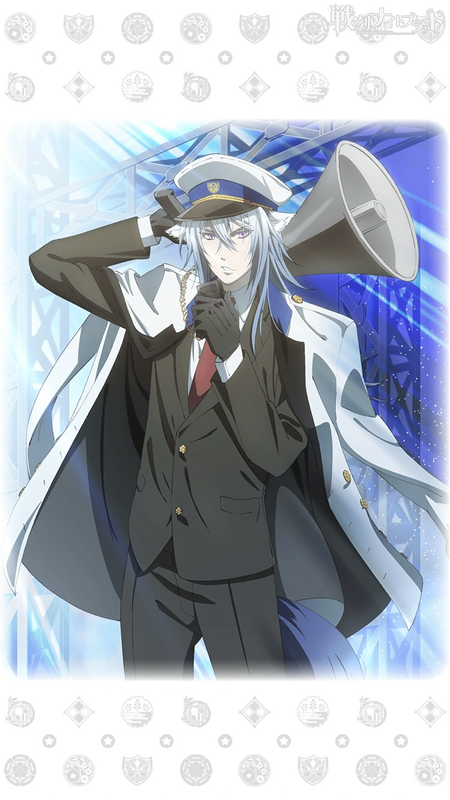 (Cards about the anime were given out and they correspond with each episode of the anime. 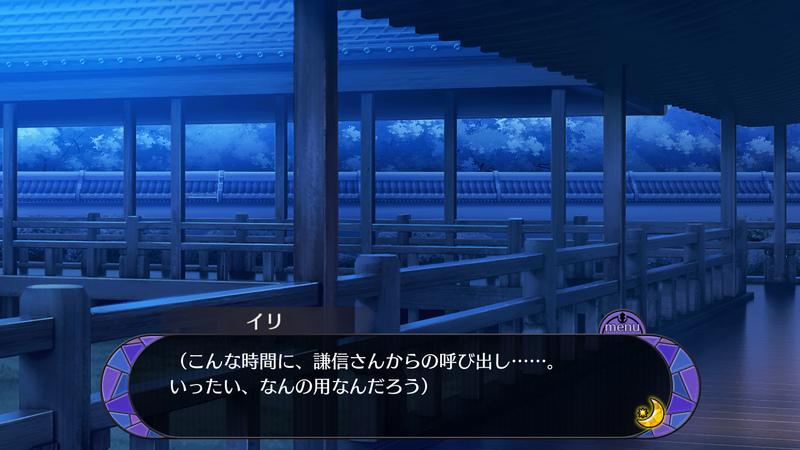 Kenshin’s second card takes place after episode 10 of the anime).